In letters written home to his wife Katherine while serving in the Revolutionary War, General Edward Hand would address her as “My Dearest Kitty.” Later, as the mistress of Rock Ford Plantation, “Kitty Hand” hosted many elegant teas for family and friends. 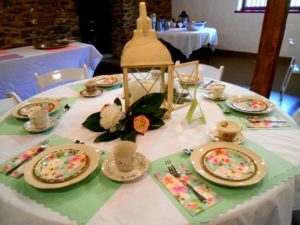 During Rock Ford’s children’s event “It’s Tea Time” on Sunday, April 7 from 2 pm to 4 pm, Kitty Hand welcomes guests to an afternoon tea at Rock Ford, featuring delightful desserts, tea tasting and etiquette fun such as the Language of the Fan. Guests are encouraged to wear fancy accessories such as gloves, hats and jewelry. After the tea, guests will be led on a short tour of the Rock Ford mansion to “find the hidden tea cups” in the mansion’s rooms. This event will be held rain or shine in the Rock Ford barn and mansion. In the event of rain, guests are asked to bring umbrellas as they will be walking from the barn to the mansion. Reservations may be made by clicking here. Cost is $10 per child and $12 per adult. The reservation deadline is Friday, April 5. This event is recommended for children ages 5 and up and their family members. Children must be accompanied by at least one responsible adult. 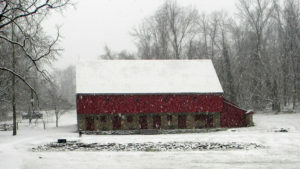 This month’s Stories in the Barn will have a Colonial Christmas theme. The program will be held in the historic bank barn on the grounds of Rock Ford Plantation. Following the story, children will participate in a fun activity. Stories will relate to Early America. Additional Stories in the Barn are planned for January 12, 2019, March 16, 2019, November 3, 2019 and December 7, 2019. After another successful summer of Stories on the Porch, Rock Ford Plantation is delighted to announce our new “Stories in the Barn.” The program will be held in the historic bank barn on the grounds of Rock Ford Plantation. Following the story, children will participate in a fun activity. Stories will relate to Early America. Our first “Story in the Barn,” geared towards preschool through elementary school age children, will be held Sunday, November 4, starting at 3:30 pm. Children must be accompanied by a responsible adult. This is a pay-what-you-will event. Additional Stories in the Barn are planned for December 2, 2018, January 12, 2019, March 16, 2019, November 3, 2019 and December 7, 2019. Come out and join us for a spooktacular evening of thrills, chills, and good old fashioned fun! After hours at the North Museum is Halloween fun for all. Sit by the campfire in our planetarium and listen to some stories including local lore and Native American tales about the stars. Take a flashlight scavenger hunt throughout the Museum and find some of our creepy, crawly, and uncanny collections along the way. Stop by our Mad Scientist’s Lab and learn how to make some terrifyingly fantastic potions. All this and more in our Haunted Museum! Buy tickets for Spooky Science Trick or Treat and get your ticket for the Haunted Museum at half price! Come out for our daytime event and get tickets to the evening event at half the price! What a spooktacular deal! The premiere performance of the General Hand Puppet Theatre at the 2018 May Fair at Rock Ford Plantation was such a huge hit that it has now been scheduled for two additional performances on Sunday, June 24 at 11 am and 1 pm in the Rock Ford barn. This all-ages event is being presented in collaboration with the Lancaster Marionette Theatre. “The Hand Puppeteers worked so hard and are so dedicated that I thought they needed to keep the momentum going – Rock Ford has a barn so let’s put on a show,” said Robert Brock, the Artistic Director of the Lancaster Marionette Theatre. The General Hand Puppet Theatre performance features adventure, live music, surprises, romance, heroes and a revolution ending with America’s independence. 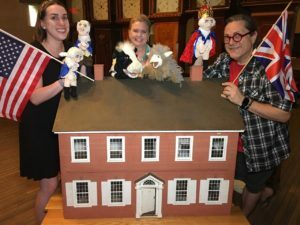 The Hand Puppet cast includes Edward and Kitty Hand, George and Martha Washington and several of Edward Hand’s farm animals (including his favorite sheep Garamelli) … and mad King George III. In addition to directing the production, Brock will include some of his 18th century marionette characters from “Treasure Island” as well as his marionettes depicting John Durang. Durang was the first American-born actor, dancer and puppeteer, who was born in Lancaster City in 1768. Not publicly seen in years, one of Rock Ford’s hidden treasures – a 43-year-old, highly detailed dollhouse of the Rock Ford mansion – will be featured in the production. Little tours of the little mansion will be given periodically. An elaborate one-fourth inch scale replica of the mansion filled with period-style furniture, the dollhouse offers a Lilliputian experience not to be missed. Along with the little mansion will be a little gift shop, featuring Rock Ford’s most popular items (including shrub) for sale. The volunteer puppet company, dressed in period attire, includes Pam Stoner, Meagen Lebo, Grace Kline, Ron Peters and Sarah Alberico. Reservations are $5 per person and may be made by calling the Rock Ford office at 717-392-7223 or clicking here.. Seating is limited – do not miss this special experience. Refreshments will be offered for sale before and after each performance. Proceeds from this event benefit educational programming at Rock Ford. Reservations are $5 per person and may be made by calling the Rock Ford office at 717-392-7223 or by clicking here. Seating is limited – do not miss this special experience. Refreshments will be offered for sale before and after each performance. Join us for this traditional celebration of the arrival of Spring with period dancing around the Maypole, games, music, open hearth cooking demonstrations, mortar demonstrations by the 1st Regiment Flying Camp of Lancaster, and guided tours of the mansion (see below). The Equestrian Team from Millersville University will be riding on the ground during the event and demonstrating what they do in competitions. In addition, Meduseld Meadery will have a selection of their hand-crafted meads available for purchase. All outdoor activities are free and open to the public and also weather permitting. Step back in time for a fun-filled afternoon of Colonial-inspired Christmas activities featuring take-home crafts and holiday treats! 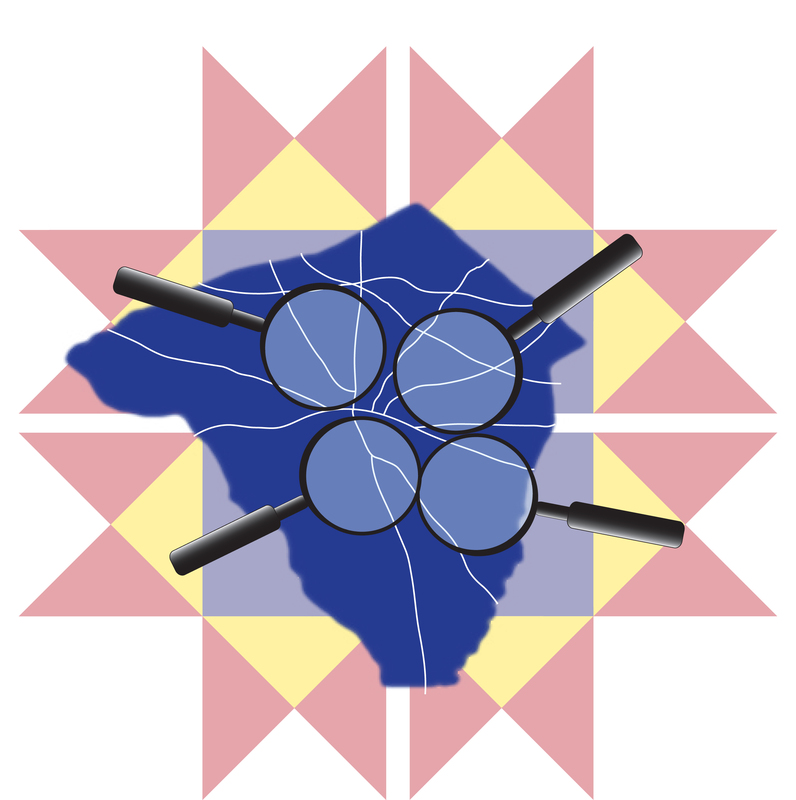 This program is geared for Grades 2-5. Children must be accompanied by an adult (no younger siblings, please). This event will be held in the Rock Ford Barn. Reservation deadline: Wednesday, November 22. Please note that the maximum number of children for this event is 25. If the maximum is reached before the deadline, reservations will close prior to November 22. For reservations, please call the Rock Ford office at 717-392-7223 (Monday-Friday from 10 AM to 4 PM).